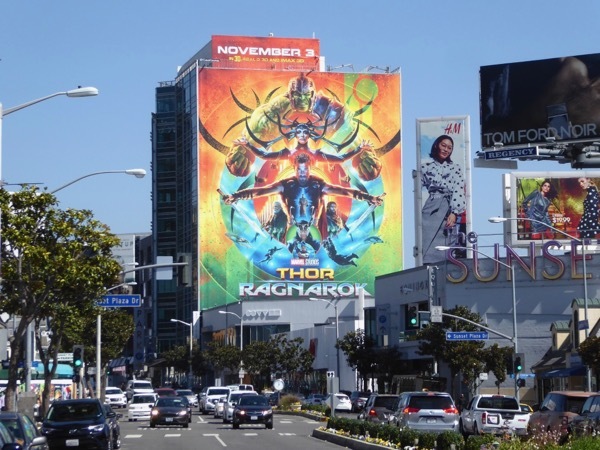 This November the God of Thunder returns for his third solo movie, Thor: Ragnarok, but as with most Marvel Studios movies he's not alone. 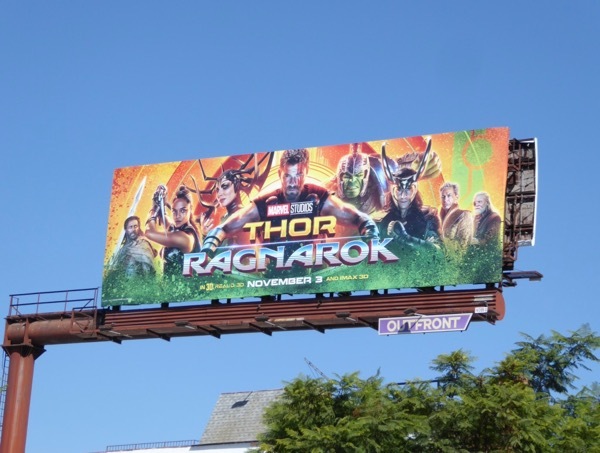 Joining Chris Hemsworth in this out-of-this-world buddy action movie is none other than the 'Hulk' (his human 'Bruce Banner' form played by Mark Ruffalo). 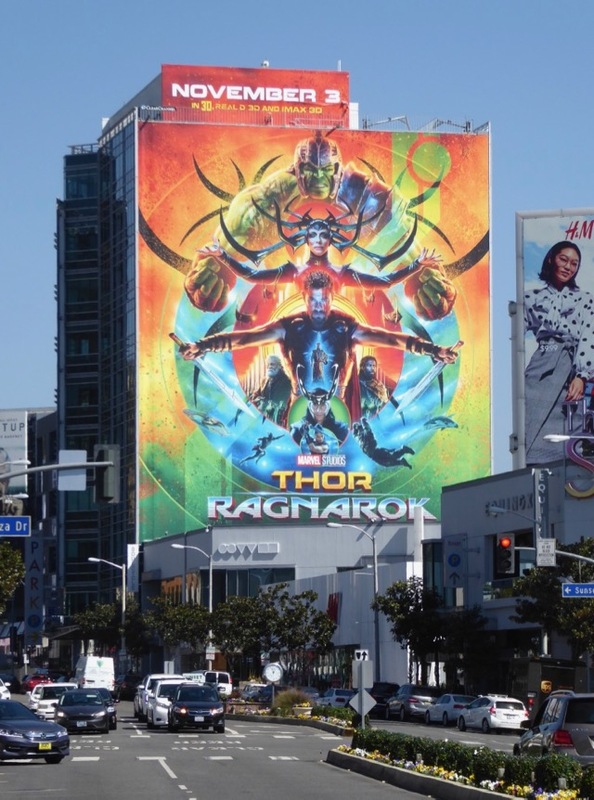 The Gamma spawned behemoth will help the Son of Odin take on Cate Blanchett's 'Hela', the Goddess of Death, who is out for revenge against Asgard, but first Thor and Hulk find themselves in a smackdown supreme in a gladiatorial arena on the distant planet of Sakaar. 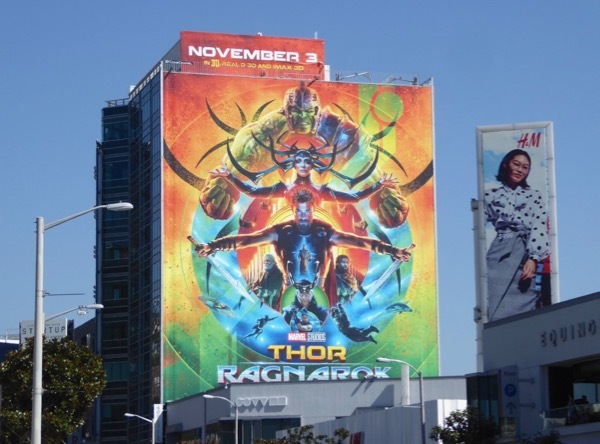 Jeff Goldblum's 'Grandmaster' runs the deadly games, which sees Thor sporting a new cosmic gladiator look and wielding new weapons, whilst the Asgardian 'Valkyrie' (Tessa Thompson) also makes her Marvel cinematic debut (plus you can also expect to find Tom Hiddleston's scheming 'Loki' up to his usual tricks). 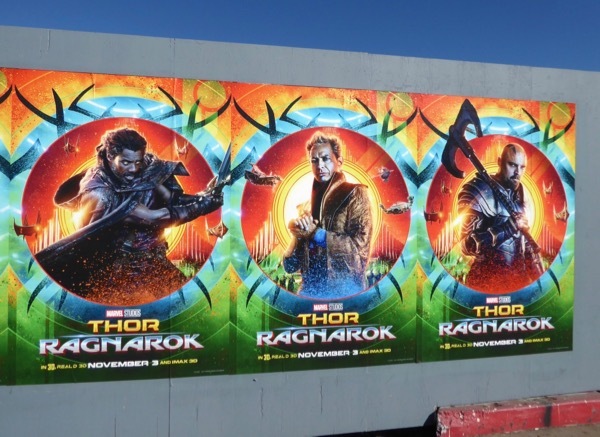 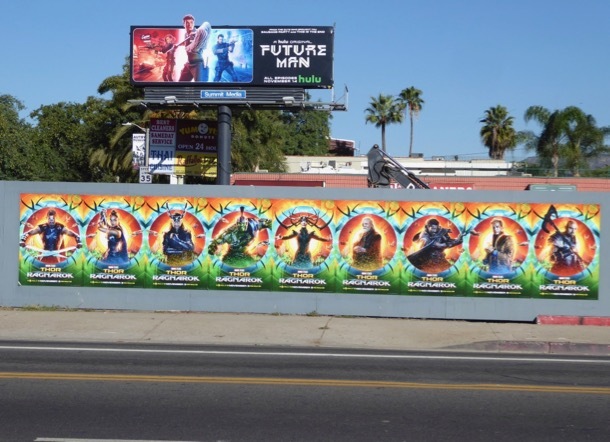 These vibrant movie billboards were photographed along Santa Monica Boulevard, La Cienega Boulevard and the Sunset Strip from October 9 to October 15, 2017. 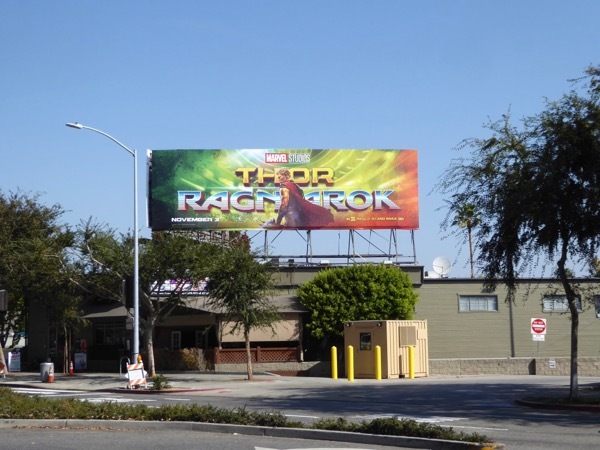 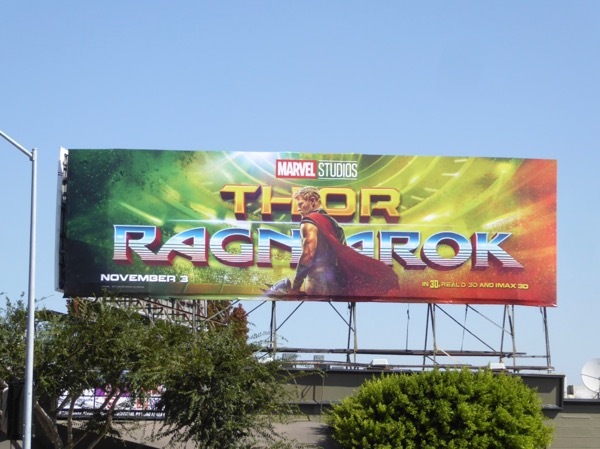 Admirers of the God of Thunder should also check out these Thor film billboards for his first two solo movies, plus you can also take a look at these other Chris Hemsworth movie billboards. 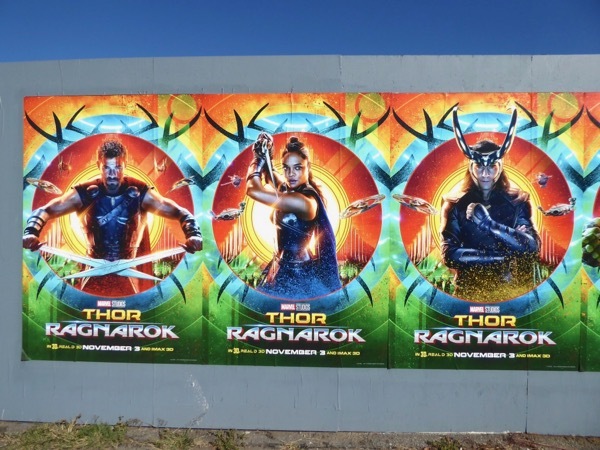 Fans of the Marvel Studios movie can also enjoy all these Thor: Ragnarok movie costumes on display. 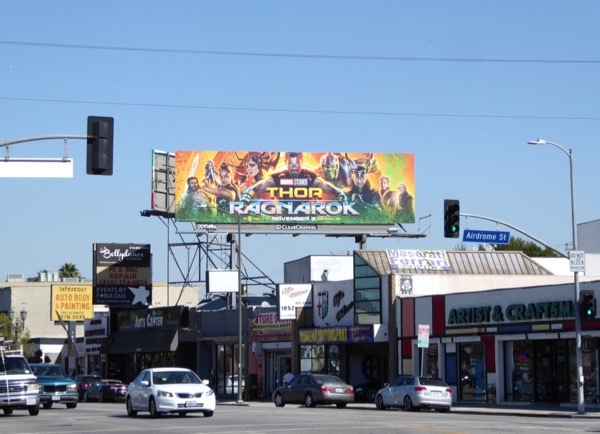 With this third Thor outing having a lighter tone and exploring more of the Guardians of the Galaxy outer space universe, plus director Taiki Waititi incorporating fan favorite storyline Planet Hulk into the mix, this is surely going to be a Marvel Studios movie like we've never seen before. 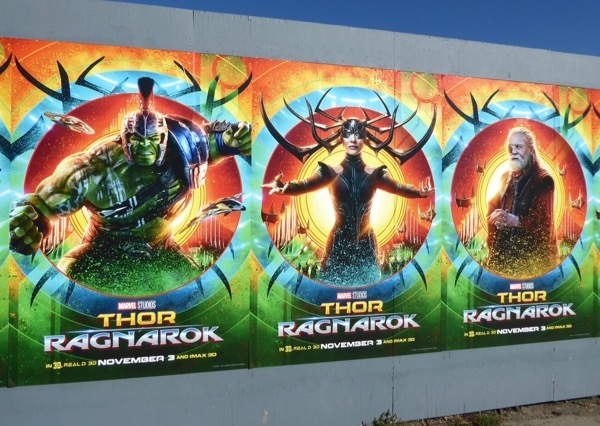 UPDATED: Fans of this threequel will also love these character posters for Thor: Ragnarok featuring the likes of 'Loki', 'Hulk', 'Hela', 'Skurge', 'Heimdall' and 'Odin'. 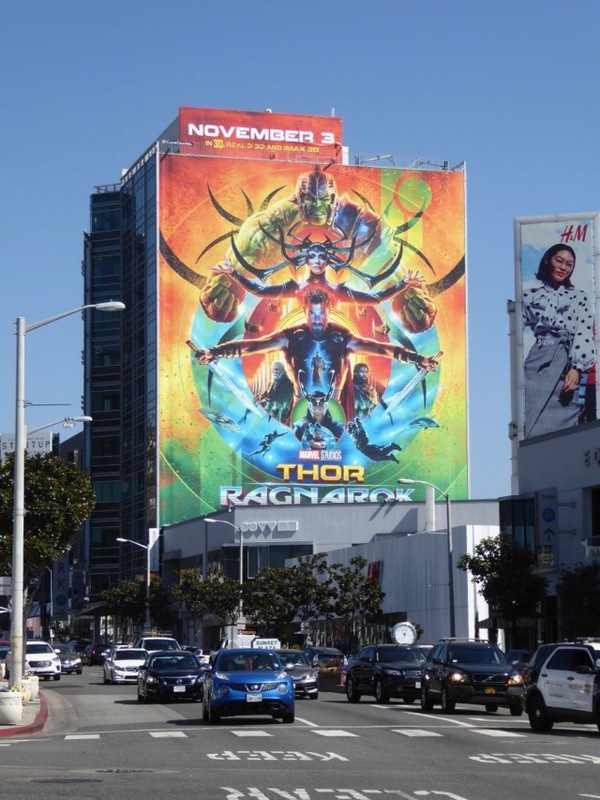 This selection of colourful wildposting for the Marvel Studios movie was spied along Melrose Avenue at Highland Avenue on November 4, 2017. 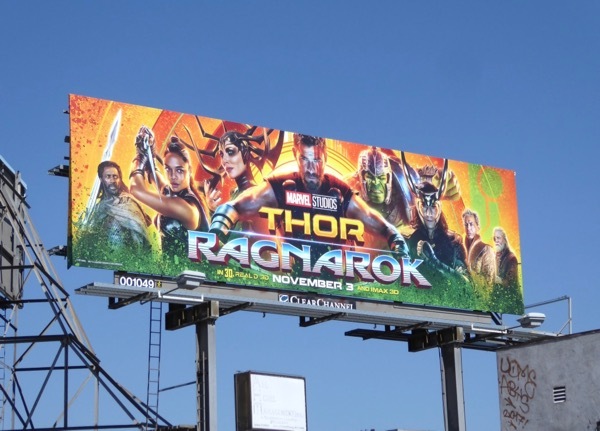 What do you think, did this Thor movie bring the thunder this time around, it was certainly full of humour and surprises that's for sure?